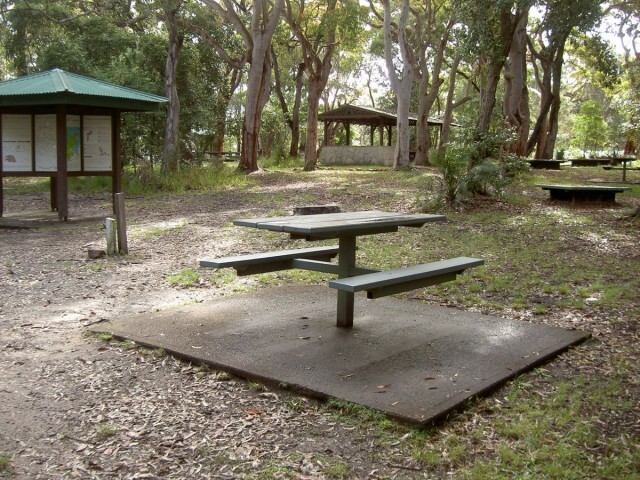 Resolute picnic area, Ku-ring-gai Chase National Park, is a large grassed area with benches, shelter, interpretive signs, electric BBQ's and an environmentally-friendly toilet block. The picnic area does not have drinking water, but does have a pay phone and wheelchair-accessible bathroom with baby-changing area. 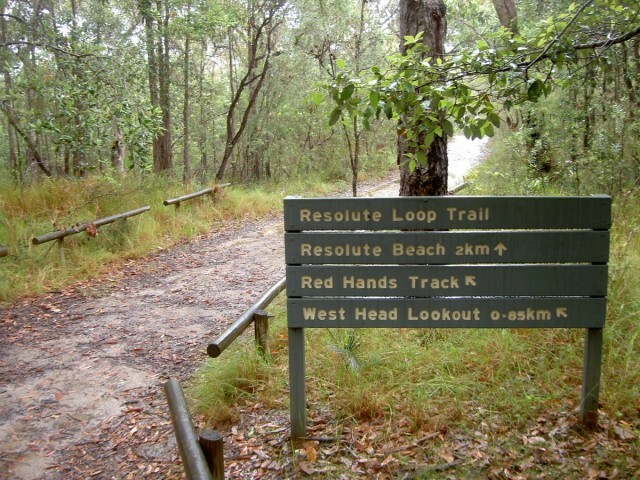 Resolute picnic area is a great place for lunch, with Red Hands Cave, West Head and Resolute Beach and West Head Lookout tracks starting from the picnic area. The picnic area has adequate parking and a bus turn-around area. 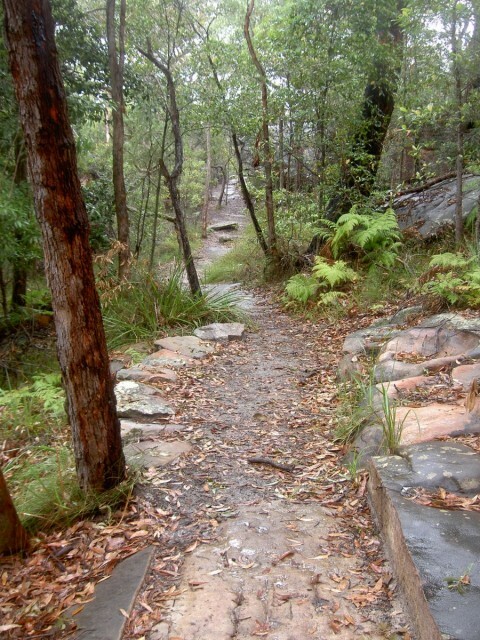 From Resolute Picnic Area, this walk follow the signs for 'Red Hands Cave' away from the picnic area. 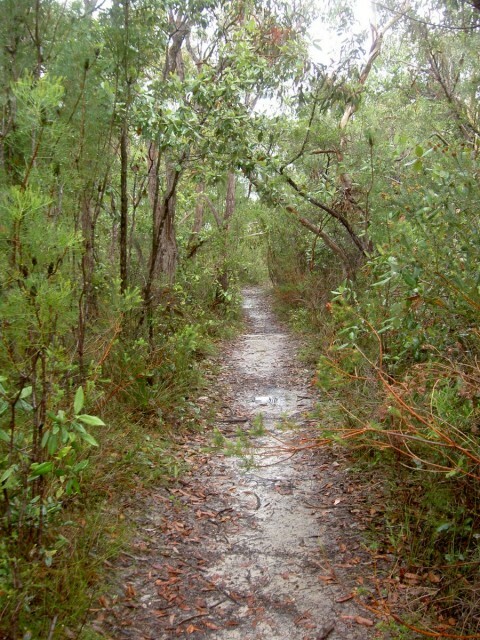 The track heads down the sandy service trail for approximately 100m to the intersection marked by the sign on the left. 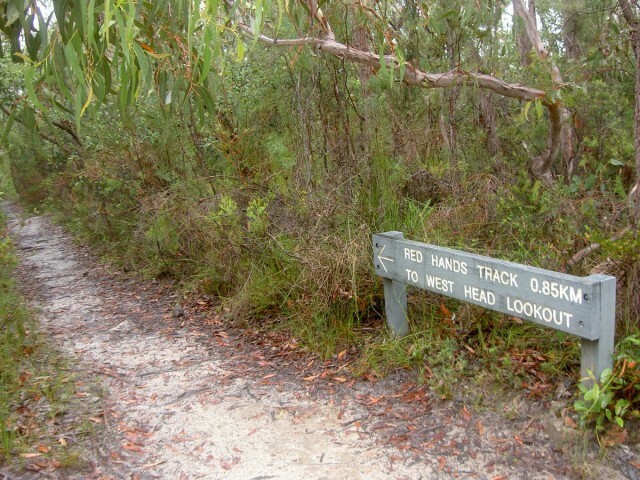 Turn left: From the intersection, this walk follows the sign to 'Red Hands Cave 0.85km' away from the service trail. The track heads slightly downhill before turning right. 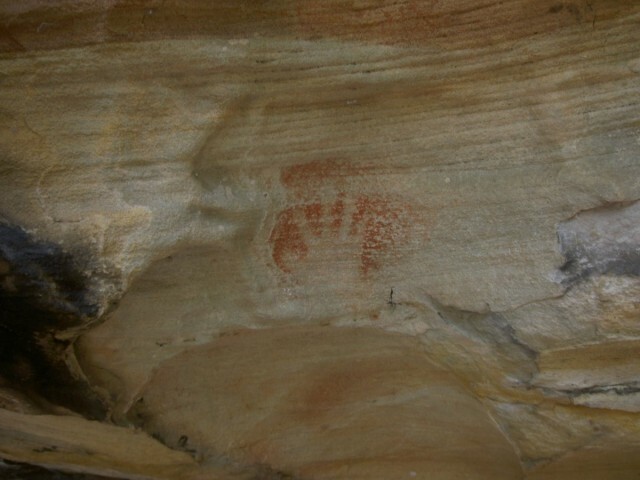 The track then drops down some stairs, passing around and down a rock shelf to continue to an overhanging rock - Red Hands Cave. The cave is fenced off and marked with informative signs. A list of the nearest UHF CB repeaters I found to Red Hands Cave. Wed 29° Showers. Likely storm developing. Sat 16°|24° Possible late shower.